Creating a bucket list is one of the best ways to make sure that you use your time and resources in order to accomplish and experience what you really want out of life. And one life area that you can’t leave out of your bucket list is travel. 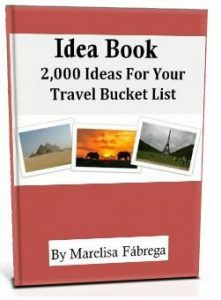 My eBook, “Idea Book – 2,000 Ideas For Your Travel Bucket List” contains what the title says: 2,000 travel bucket list ideas. You’ll find ideas for every one of the seven continents. 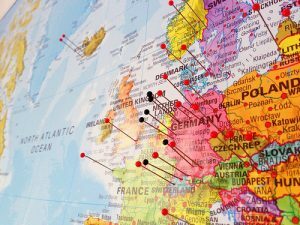 Below you’ll find 20 ideas for your travel bucket list taken from “Idea Book – 2,000 Ideas For Your Travel Bucket List”. Erected in 1889 as the entrance arch to the 1889 World’s Fair, the Eiffel Tower –located in Paris–has become a global icon of France. 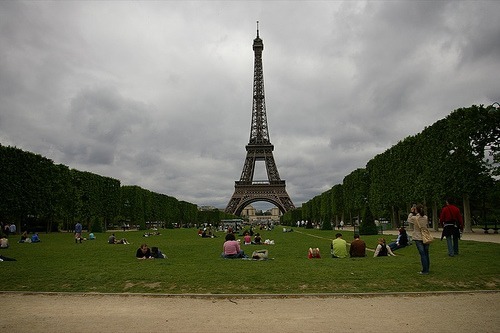 It’s the tallest structure in Paris, and can be seen from all over the city. The Eiffel Tower’s three platforms are home to two restaurants, several buffets, a banquet hall, a champagne bar, and many gift shops. 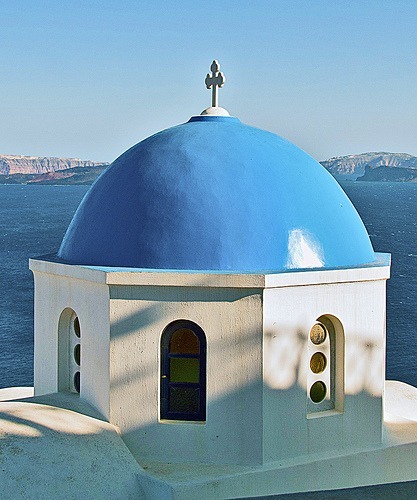 The Blue-Domed Churches in Santorini –officially Thira–, Greece. Santorini is an island in the southern Aegean Sea. Oia–Santorini’s prettiest and most popular village–is famous for its white washed blue domed churches. These blue-domed churches can be found all throughout the village. Visit the Rialto Bridge, one of the four bridges spanning the Grand Canal in Venice, Italy. This 16th century bridge is the oldest bridge crossing the canal and it’s one of the architectural icons of Venice. 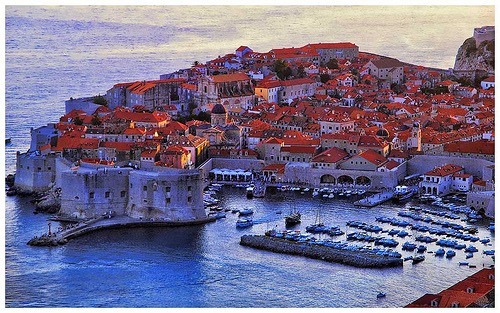 Visit the ancient walled city of Dubrovnik, Croatia, which was described by Lord Byron as “The Pearl of the Adriatic”. Dubrovnik is famous for its city walls, and the medieval Old Town Dubrovnik is a UNESCO heritage site. Also, climb to the summit of Mount Srdj to get gorgeous views (it’s an easy two-hour climb). 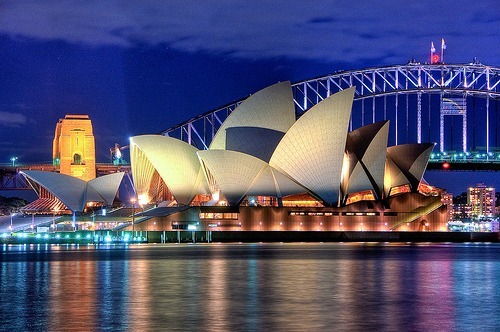 See the Sydney Opera House in Sydney, Australia. It sits at the tip of a peninsula projecting into Sydney Harbour. The opera house was conceived and largely built by Danish architect Jørn Utzon. It opened in 1973. The Sydney Opera House constitutes a masterpiece of 20th century architecture, with its unparalleled design and construction. Contrary to its name, it houses multiple performance venues. See the Moai, approximately 1,000 human figures carved by the Rapa Nui people of Easter Island –a tiny Polynesian island which is a special territory of Chile—in the South Pacific. The stone blocks, carved into head-and-torso figures, are on average 13 feet tall and weigh 14 tons. Although it’s not certain why the Moai were created, scholars suspect that they were meant to honor important personages. They were carved and erected from the 10th to the 16th centuries. When Europeans arrived in 1722 they found the island mostly barren and its inhabitants few. It’s believed that the Rapa Nui’s demise resulted from an environmental catastrophe of their own making. 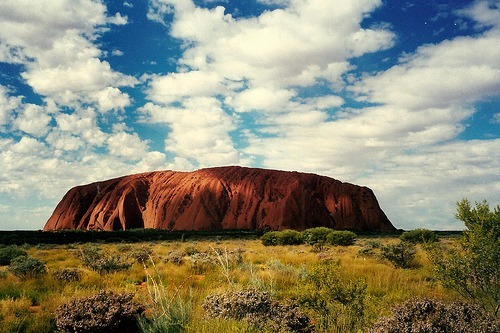 Visit Uluru–also referred to as Ayers Rock—in Australia. This ancient sandstone monolith is one of Australia’s best known landmarks. As the light changes throughout the day, Uluru—which is a sacred site of the Aboriginal people–seems to almost magically change color. Although some people make the one-kilometer climb to the top of Uluru, in terms of cultural respect, it’s better to take one of the many walks around the base of Uluru. 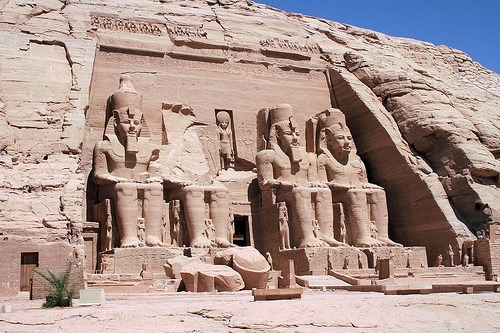 Visit the Abu Simbel temples in Nubia, Southern Egypt. The twin temples–which are among the most magnificent monuments in the world–were built during the reign of Pharaoh Ramesses II in the 13th century BC. The larger of the two temples, generally known as the Temple of Ramesses II, features four large statues of Ramesses II in the facade. The smaller temple, known as the Temple of Nefertari, is dedicated to Ramesses’ most beloved wife, Nefertari. 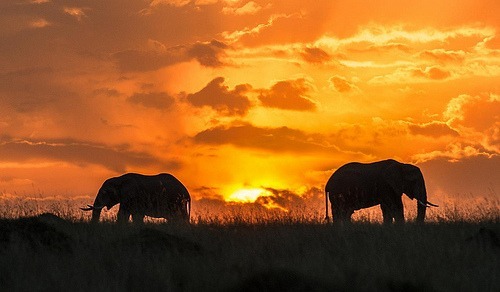 Visit the Masai Mara Reservation in south-west Kenya, which is considered to be one of the world’s greatest wildlife reserves. It’s globally famous for its exceptional population of lions, leopards and cheetahs. In addition, the Great Annual Wildlife Migration can be witnessed from Masai Mara— each year around 1.5 million wildebeest and 300,000 zebra (along with other antelope) migrate from Tanzania’s Serengeti Plains, north to Kenya’s Masai Mara National Reserve, and back. Visit the Sossusvlei Dunes in the Namib Desert in Namibia. The Namib Desert–which extends 1,200 miles along the coast of the South Atlantic Ocean—is said to be the oldest desert in the world. In addition, the Sossusvlei Dunes are among the highest dunes in the world. One dune called “Big Daddy” rises 380 meters, or about a quarter-mile, from its base. The most popular dune to climb is called Dune 45. 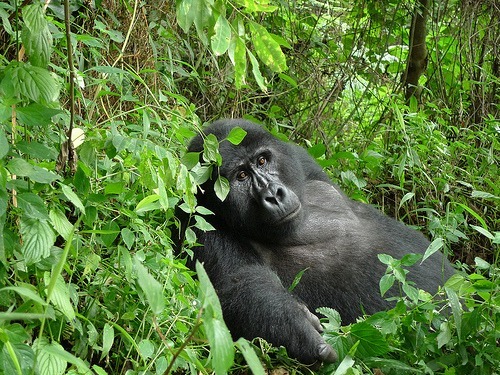 Go gorilla trekking in the Bwindi Impenetrable National Park located in southwestern Uganda in East Africa. The park is most notable for the 340 Bwindi gorillas that live here: that’s half the world’s population of these critically endangered mountain gorillas. Although the gorillas are the stars at the Bwindi Impenetrable National Park, there is much more to see here, including rare forest elephants, giant forest hogs, 11 kinds of primates, forest duiker antelopes, bush buck antelopes, over 200 species of butterflies and more than 350 species of birds. Visit the Grand Canyon in Arizona, USA. Carved by the Colorado River, the Grand Canyon is over a mile deep. In order to really experience the Grand Canyon, drive to the North Rim, 45 miles south of Jacob Lake, AZ. Then, hike the ten miles to the South Rim near Tusayan, AZ. This is called the Rim to Rim hike. See Mount Rushmore near Keystone, South Dakota. It’s a sculpture carved into the granite face of Mount Rushmore. 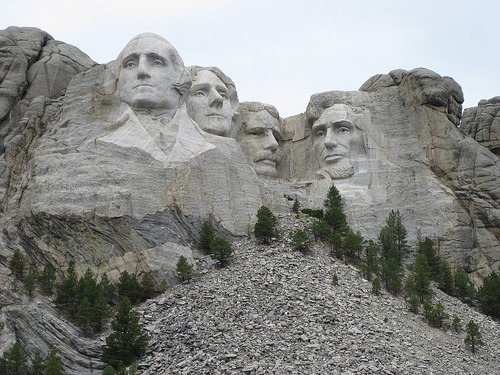 Specifically, it features sculptures of the heads of four United States presidents: George Washington (1732–1799), Thomas Jefferson (1743–1826), Theodore Roosevelt (1858–1919) and Abraham Lincoln (1809–1865). The entire memorial covers 1,278.45 acres (5.17 km2). Visit Times Square in midtown Manhattan, New York City, USA. It’s the hub of the Broadway Theater District, and one of the world’s busiest pedestrian intersections. With its ambiance and billboards spectacle, it’s one of the most visited places in the world. 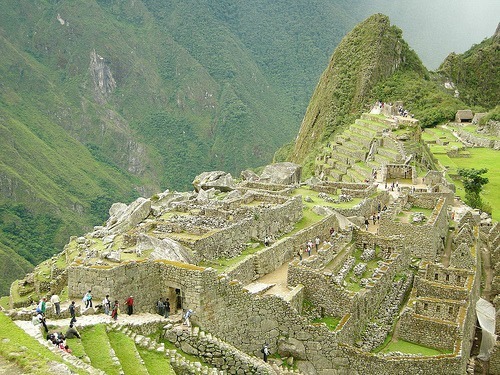 Visit Machu Picchu in Peru. Machu Picchu is a citadel of stone built by the Incas more than 500 years ago, nearly 8,000 feet up in the Andes. The complex of palaces and plazas, temples and homes may have been built as a ceremonial site, a military stronghold, or a retreat for the ruling elite. Visit the Galapagos Islands, an archipelago consisting of 19 volcanic islands situated in the Pacific Ocean some 1,000 km from the South American continent (they’re part of Ecuador). The Galapagos Islands are famed for their vast number of endemic species and were studied by Charles Darwin. 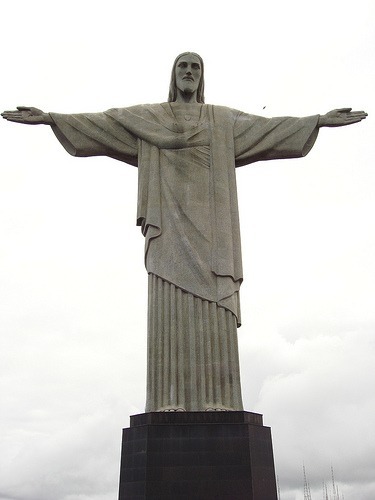 See Christ the Redeemer, a statue of Jesus Christ in Rio de Janeiro, Brazil. It’s 30 meters (98 ft) tall, not including its 8 meters (26 ft) pedestal, and its arms stretch 28 meters (92 ft) wide. The statue is located at the peak of the 700 meters (2,300 ft) Corcovado Mountain in the Tijuca Forest National Park overlooking the city of Rio de Janeiro. 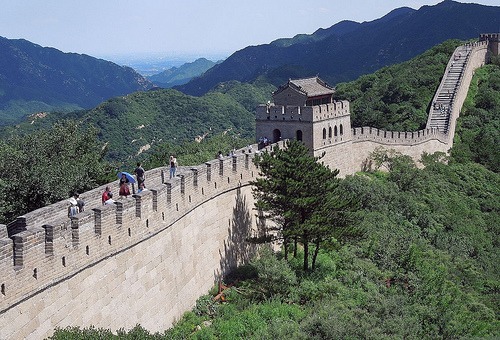 Visit the Great Wall of China located along China’s historical northern borders. The Great Wall begins in the east at Shanhaiguan in Hebei province and ends at Jiayuguan in Gansu province to the west. It was continuously built from the 3rd century BC to the 17th century AD, and is over 20,000 kilometers long. Siem Reap is the capital city of Siem Reap Province in northwestern Cambodia, and it’s the gateway to the Angkor region. Angkor–which means “city”–served as the seat of the Khmer Empire, which flourished from approximately the 9th to 15th centuries. Angkor spreads over an area of over 60 miles and contains 1,000 stone temples set upon forest and farmland. One of these temples in particular, Angkor Wat, is the heart and soul of Cambodia. Built in the early 12th century,this temple–which at first was a Hindu temple and then a Buddhist temple–continues to be the largest religious monument in the world. Today, it continues to serve as a house of worship and is featured on the Cambodian flag. The four mile temple has five central tours, representing the sacred Mount Meru, the center of the universe in Hindu mythology. The moat surrounding Angkor Wat symbolizes the oceans. 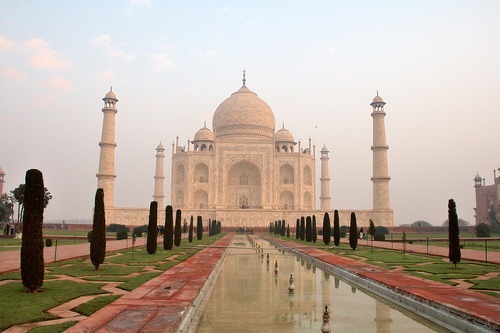 Visit the Taj Mahal, a white marble mausoleum located in Agra, Uttar Pradesh, India. The Taj Mahal was built by the Mughal emperor Shah Jahan in memory of his third wife, Mumtaz Mahal. While the white domed marble mausoleum is the most familiar component of the Taj Mahal, it’s actually an integrated complex of structures. The ideas are divided into categories and subcategories so you’ll get a very organized and easy to read eBook. Every item contains an image. Every item contains a practical description. Over 1,500 Links to Videos and Helpful Websites. Get “Idea Book – 2,000 Ideas For Your Travel Bucket List” for just $9.95. It’s a digital products, so you’ll receive it immediately upon purchase. I want you to be confident in your purchase, so I’m offering a 30-day money-back guarantee. P.S. “How To Live Your Best Life – The Essential Guide for Creating and Achieving Your Life List”, will show you how to create your bucket list as a blueprint for your ideal life, and turn it into reality. P.S.S. Did you enjoy this article? Subscribe to “Daring to Live Fully” by RSS or by email, and get free updates. Some suggested calling it a live it list and other things like that. One blog even had a contest for people to come up with another name that is not so death oriented. I wonder if there is a name that would suggest goals to do no matter whether you live or die. Food for thought. Anyway, I love your choices and love your ebooks. Just thought I’d let you know some of the thoughts going on as it could suggest some different way to look at the list and increase exposure and sales for you. Hi Sandy: I’m glad you find my eBooks helpful. A bucket list is definitely a list of life goals, so if you want to think of this list in terms of “travel goals” that’s a great way to look at it.